At WWT we believe the best way for people to understand and connect to wetlands is to experience them, so we bring awe-inspiring nature up close and let it do the talking. At our wetland centres we shape unforgettable experiences for our visitors to engage with wetland wildlife and learn more about our pioneering work to conserve wetlands and save species around the world. In this role you will be assisting the Collection Team in all aspects of caring for the wide variety of amazing birds in our living collection at the Arundel Centre, and their varied habitats. How much time will it take? We are looking for volunteers who can commit to 1 to 2 days per week, on a regular basis and ideally over Weekends, Mondays and Tuesdays. Shifts days start at 8.00am and finish at 4.30pm. We will mutually agree the hours that you can contribute. Assisting with maintenance and cleaning of exhibits and collection facilities. Undertaking vital bird observation tasks. Helping with vegetation clearing, weeding, coppicing and pruning. Checking the birds are secure, gates are locked and fence lines intact. Repairing pond edging and cobbling works. Potentially gaining experience in bird habitat and exhibit design. Undertaking an induction in bio-security and best practice care. Have excellent attention to detail and great communication skills. Have a can-do attitude and in all weathers. Are both practical and physically fit. Have experience in bird keeping and welfare. Have the ability to work independently and be self-motivated. Some practical habitat management is desirable. The confidence to engage our visitors with the work of WWT. A full UK driving license is desirable. You will be part of a friendly dedicated team of staff and volunteers who promote the work of WWT at Arundel and our network of sites. A full induction to WWT and the Arundel Centre, role review and appropriate training will be provided. 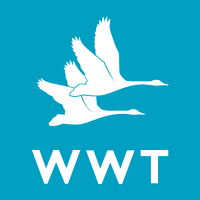 Enjoy free entry to all WWT wetland centres throughout the UK on presentation of your WWT name badge. A discount is available in the cafe and shop on the days of volunteering.